The Noah SL is built using 60-40-30 ton high-modulus carbon fibres. 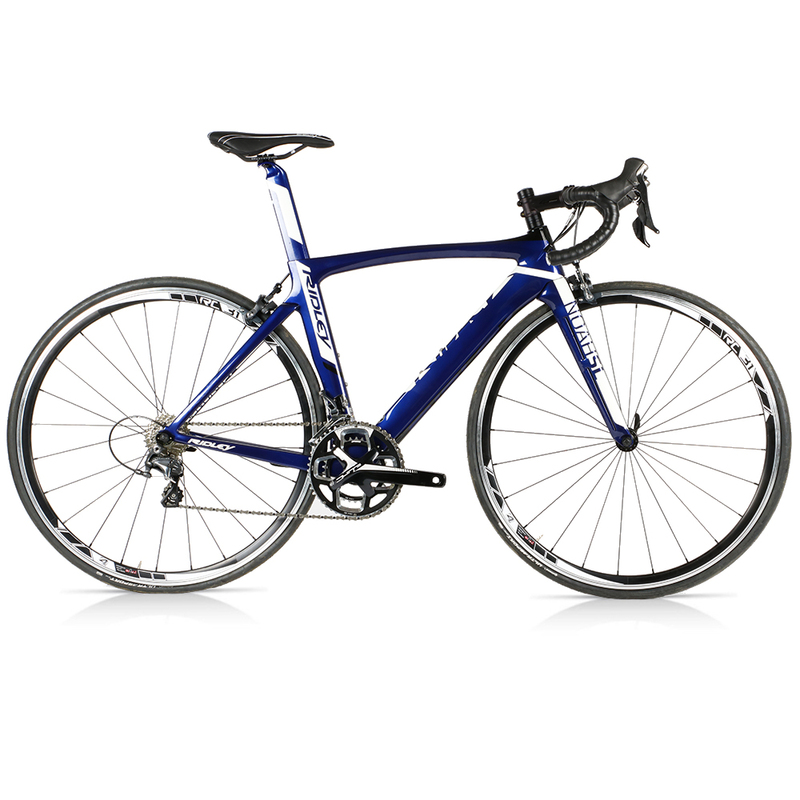 This lightweight frame with Ridleys Unique F-Type features makes this bike efficient in all scenarios. Ridley's Noah SL means this, it easy to ride fast, it slice's through wind and hit those high average speeds. The Ridley Noah SL features Shimano’s well-respected Ultegra 6800 mechanical groupset providing crisp, predictable gear shifts every time. The FSA Gossamer chainset features 34/50T chainrings combined with an 11/25T cassette to give you a generous spread of gears that will enable to you conquer the hardest, hilliest rides imaginable; Ridley have also specced Forza RC31 wheels to keep you rolling fast and enable you to accelerate instantly up steep climbs. This extra small bike is an ex-showroom bike and has been built and displayed but not ridden. The white detailing to the frame, fork and seatpost is slightly discoloured and is now a very light cream colour.